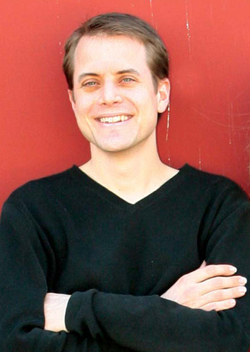 Bradley Colten has appeared in performance throughout the United States and in Canada, France, Germany and Switzerland as a soloist and chamber musician. Highlight appearances include performances at Caramoor Music Festival, Lincoln Center, the New World Symphony Orchestra’s chamber music series, Merkin Concert Hall, and Carnegie Hall, where his debut was noted by Guitar Review magazine as “superbly unrelenting” and as having “imaginative lyricism” and “amazing energy.” Bradley has made a mark at guitar festivals as well, performing at the GFA Festival, the Bowdoin Summer Music and New England Conservatory Music Festivals, and at the Boston, Long Island, New York City, and Rhode Island Classical Guitar Societies. He has been featured in print, online and on air. Articles about Bradley have appeared in Guitar Review; his CD has been featured on NPR’s Open Mic; and he has performed live on New York City’s Soundcheck on WNYC radio. Bradley is a founding member of Arc Duo, an award-winning flute and guitar ensemble. Roundly hailed by critics and presenters, the duo’s performances have been described as “musically artistic experience[s] from beginning to end,” and as “an exceptional ensemble” performing with “poetic sensibility to all-out bravura.” Interviews and articles about Arc Duo have appeared in Soundboard magazine, Flute Talk, Classical Guitar, NYlon Review, Stylus, American Flute Guild, and Guitar Review. Soundboard magazine hailed Arc Duo’s debut CD as an “indispensable addition to the guitar’s discography.” The duo’s most recent recording, The Diller-Quaile Commissions was released by Azica Records in August 2012. Bradley’s latest solo CD is slated for release in early 2014 on the Azica label. Bradley is a recipient of the Andrés Segovia Award from the Manhattan School of Music and served as a chamber music coach at the school. He was noted with “Performance Distinction” after his studies at the New England Conservatory of Music. While still at New England Conservatory, The Boston Globe hailed Bradley for his “sensitive” Boston premiere of Mario Davidovsky’s Synchronisms #10 in Jordan Hall. A strong advocate of new music, Bradley has premiered many new pieces and worked with luminaries in the field such as Ned Rorem, Mario Davidovsky, Joan Tower, and Roland Dyens, among others. Bradley has been acclaimed as “Superb!” by renowned guitarist David Starobin, and as having “… a rich blend of musical refinement, soulful communication and that rarity, emotional intelligence” by celebrated guitarist/composer David Leisner. Bradley plays on a Daryl Perry guitar, endorses Hannabach Strings and is an Azica Recording Artist.